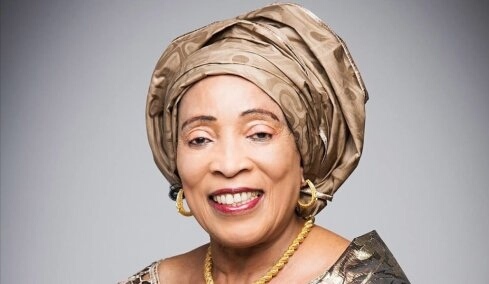 Mrs. Titi Atiku Abubakar , wife of the Presidential Candidate of the Peoples Democratic Party (PDP), Alhaji Atiku Abubakar and members of her entourage suffered varying degrees of injuries when hoodlums suspected to be political thugs attacked them during a political campaign visit to Ibadan on Friday. Others wounded apart from Mrs. Abubakar, according to sources are Mrs. Dupe Jemibewon (wife of retired Gen. David Jemibewon), Alhaja Kafila Olanrewaju (wife of retired Gen. Tajudeen Olanrewaju), Mrs. Bose Oluwafunmilaye Adeboye one Ms. Funmi, said to be a staff of the Atiku Abubakar Campaign Office in Abuja and a Mrs. Okoya, an official of Ogun State Liason Office in Abuja when Otunba Gbenga Daniel was the state governor. The State Online gathered that the attack occurred after Mrs. Atiku Abubakar visited the Sarkin Shasha an influential Hausa leader in Oyo State, at his residence in Ojoo area of Ibadan , to solicit support for the presidential aspiration of her husband. A source said the attackers demanded money from the visitors and after they were allegedly given, some of them still went ahead to attack them with stones and broken bottles. “They threw the stones and broken bottles at them in the Coaster bus conveying them. At a time, Mrs. Atiku Abubakar and members of her entourage had to lie flat on the floor of the bus to reduce the impact of the missiles. They were seriously wounded and had to be taken to the hospital by Mr. Seyi Makinde for treatment,” the source said. The PDP governorship candidate in Oyo State, Mr. Seyi Makinde condemned the attack on Atiku’s wife, noting that the attack was uncalled while accusing the All Progressives Congress of orchestrating the attack. According to the governorship candidate, with the way the APC is conducting itself, the next election may be rougher if things don’t go their way and that’s looking pretty likely. In his reaction, the Oyo State Police Command said Atiku’s wife was not attacked. In a statement by its Police Public Relations Officer, Mr. Adekunle Ajisebutu, the command said, “She wasn’t attacked. It was one of the area boys begging for money but was not given, that threw a stone.